The work of the Federal Trade Commission (FTC) has been going on since 1914, and this site offers access to information about the agency's regulatory activities and public outreach programs, such as the National Do Not Call Registry program. 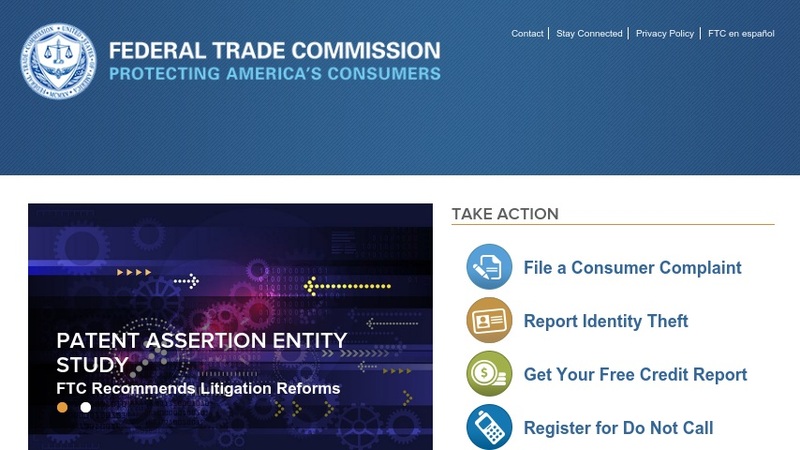 From the homepage, visitors can file a complaint with the FTC, learn about the world of antitrust regulation, and read transcripts of their most recent hearings and workshops. The section dedicated to offering transcripts of recent conferences and roundtables is very helpful, and contains remarks and presentations given on such timely topics as "Perspectives on Marketing, Self-Regulation, and Childhood Obesity". The general public will definitely appreciate the section titled "Consumers", which contains edifying information about avoiding identify theft and vacation package scams. Finally, the site also contains much of this same material in Spanish.